Perhaps Love has three snow scenes. The first two scenes were real snow. It was filmed in a busy river in Beijing and at that time, Takeshi and Zhou Xun attracted many passers by who cheered for them (In other articles it was said over 1000) Zhou Xun smiled and said that many passionate scenes were shot in the streets and alleys and every time, they attracted many people. She said she was not embarrassed at all because when the crowd cheered, she felt enlivened. Zhou Xun indicated that when they were filming the temperature was negative 20 degrees Fahrenheit and everyday, her teeth clattered as she started work. It was not a good feeling. Even though the actors got to wear warm clothes but lying on the ice river, it was not sufficient to protect them from the cold. So when she filmed the embrace scene with takeshi, they could both keep each other warm and felt very comfortable. So they didn't really want to let go. 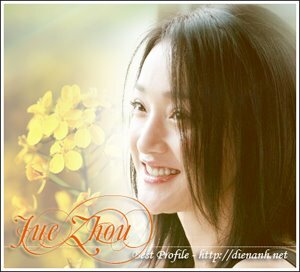 Zhou Xun also laughed and said that when she was lying on the ice and heard some noise, she thought it came from the bottom of the river. She was afraid that the ice would crack and she would fall in and she screamed. Remembering the high wire act, her eyes were all red and almost fainted when she hung upside down and with an ice scene, this movie was almost like leaping out of the frying pan. Takeshi in one scene where he meet Zhou Xun again performed perfectly . It only take one take. The snow scene was filmed on the eve of spring festival (new year) and so there were crowds everyhere.